Oo Yin Pariyatti Monestary was established 25 years ago. This year in 2015, the 25th Anniversary of Oo Yin Monestary was celebrated on the 30th May. 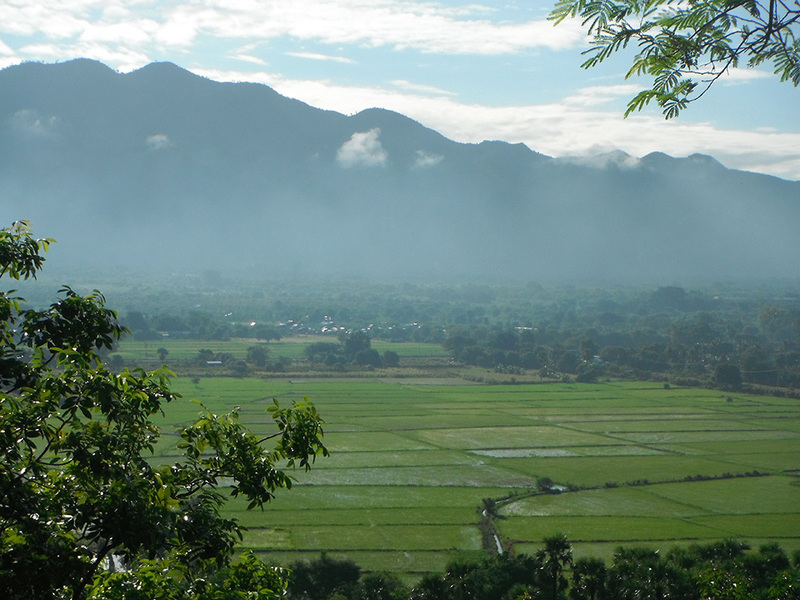 The tranquil and lush green Yedagon Mountains and traditional rice paddy fields , a short walk away, east of Oo Yin Pariyatti Monastery. 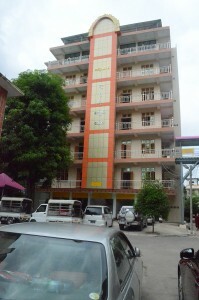 Oo Yin Monastery is located 5 miles East of Mandalay Central Downtown City. Situated in the peaceful, tranquil, natural environment settings at the foot of lush green Yankin Hill forest mountain. The monastery is surrounded by the vast richness of the green Yedagon mountain ranges and between quaint traditional green rice paddies of Yankin Hill and Patheinji. The total population of Oo Yin Monestary is over 450 sangha ordained Monks, Sayalays and Novice Monks. Oo Yin Monastery is involved with the International Institute of Abhidhamma, a nationally recognized Abhidhamma studies from Level I, II, III, to graduating to a B.A. (Abhidhamma). The main campus of International Institute of Abhidhamma is located in Yangon, and Oo Yin Pariyatti Monastery is the location for the Mandalay Campus. There are classes held for a period of months with an examination held every February for all students. The College of Global Peace building, newly opened this year in 2015. At the beginning of August this year, Oo Yin Monastery opened the Global Peace College, which offers a Diploma In English, consisting of subjects of English Grammar, Reading, Speaking and Abhidhamma all taught in English. There are over 130 students attending, a mix of Laypeople and ordained monks and nuns. For the future, at the Global Peace University, Sayadaw U Jotika has the idea surrounding the teaching of interfaith or religious harmony subjects, between all Buddhists, Muslims, Christian, Hindu and other religious groups. 450 Monks and Novices eating lunch in the dining hall. 450 monks and novices undertaking strong determination precepts for Wasso. Some young Novice Monks exercising on the specially built exercise equipment which can be fund all around the monastery. The resident Sayalays ( Nuns) and lay devottees getting ready to give flowers to monks for the Wasso ceremony. Young Novice monks receiving flower bouquets for the beginning of Wasso, Rains Retreat period.